Directions to Forkland Community Center: From Danville, go south on US 127 to the traffic light at Junction City and turn right onto KY 300. Then just after the railroad tracks turn left onto KY 37 and stay on KY 37 all the way (about 10 miles) to the Community Center on the right. From Lebanon go east on US68, turn right on KY 243 (Gravel Switch turnoff). Stay on 243 until KY 243 turns right over the bridge. Here you should go straight on KY37. The Community Center is about three miles on the left. GPS Coordinates for the Forkland Community Center: N37.551286, W084.985209. 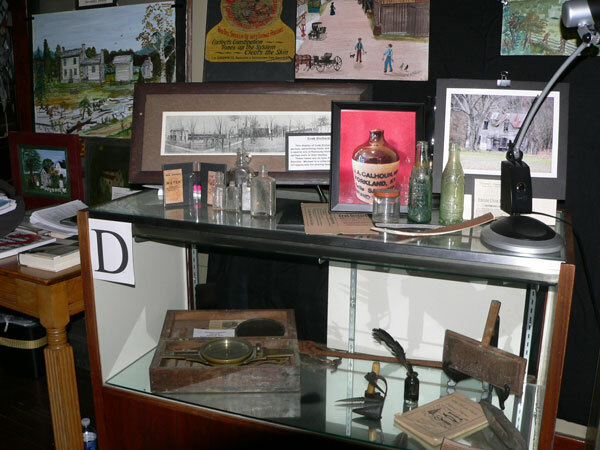 The Lincoln Museum is open every Saturday, noon - 4pm May through October, during special events held at the Forkland Community Center or by appointment by calling Wayne Thurman at 859-936-7489 or Shirley Sheperson at 859-936-2061. You may also e-mail Wayne Thurman. There is someone at the center on those Saturdays who can help you with your own genealogy, if you will contact the center and let us know you are coming. 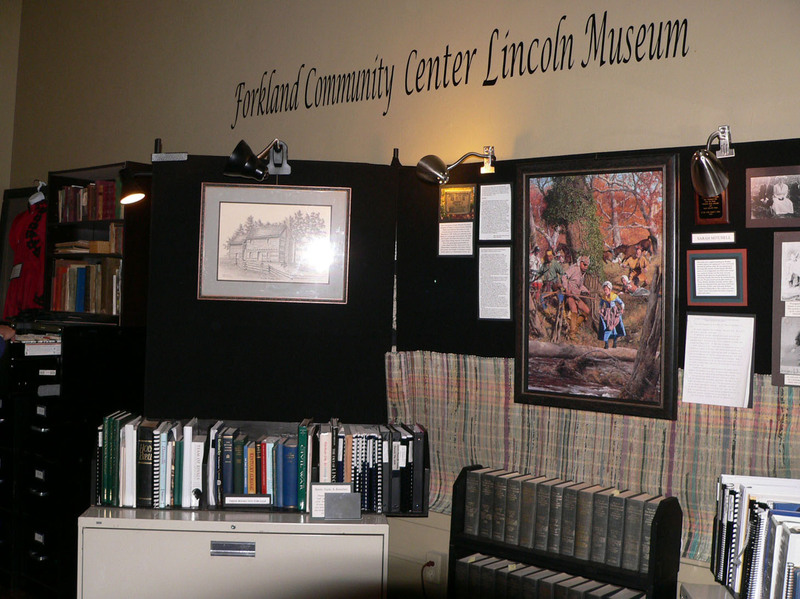 On March 1, 2008 the Forkland Abraham Lincoln Museum was officially opened after receiving a grant from the Kentucky Abraham Lincoln Bicentennial Commission and the Kentucky Historical Society. Lucey Shipley Hanks, mother to Nancy Hanks Lincoln and grandmother to Abraham Lincoln, moved to Kentucky after the death of her husband James Hanks. She had been living with a sister Rachel Shipley Berry and her husband Richard in the Forkland area of Mercer County (now Boyle) but in 1790 she married Henry Sparrow, Sr. in Mercer County, Kentucky. Lucey's daughter Nancy apparently moved to Washington County, Kentucky with her aunt and uncle and their children. There she met and married Thomas Lincoln. Nancy and Thomas were the parents of President Abraham Lincoln. Lucey and Henry Sparrow lived on Scrubgrass Road in the Forkland area of Boyle County for over 34 years and had eight children whose descendants are scattered throughout Boyle, Mercer, Anderson, Washington and other counties of central Kentucky. Because so little seems to be known about the maternal side of President Lincoln's family, the Abraham Lincoln Museum at Forkland was built. In the museum you will find photographs of family members, Lincoln artifacts, and authentic newspapers about the death of Abraham Lincoln. Other artifacts in the museum show the life that people like Lucey and Henry Sparrow lived on the "Fork". We welcome you to come and experience what life was like in the 1800s-early 1900s in the Forkland area. You may also do genealogy research in the history room or purchase items in the gift shop. We welcome any information about the families connected to this beautiful area of Kentucky.